The tombstone is traditionally associated with a sombre message – it serves as a permanent physical reminder of the person who rests at its feet, and proclaims their best characteristics. However, people have not always stuck with traditional gravestone symbolism and so there are numerous unsealed tombstones to be found in cemeteries across the world. Far from sombre, these innovative designs vary from works of art to comedic last words. It seems that the sadness of death can be replaced with an eternal chuckle as you say your last goodbye. The traditional artwork of gravestones features religious imagery, and occasionally a statue. These pieces are designed to reveal a quality of the deceased’s life, or give an indication of comfort for their journey into the next world. However, more innovative designs have been created that have transformed the sombre world of tombstones into a celebrated, highly-personal art form. The likeness of the deceased, which will offer friends and loved ones a permanent reminder of him in his most comfortable pose as he rests in contemplation until the end of time. This tombstone seems to suggest that even in death, the deceased will be taking life on the back wheel. 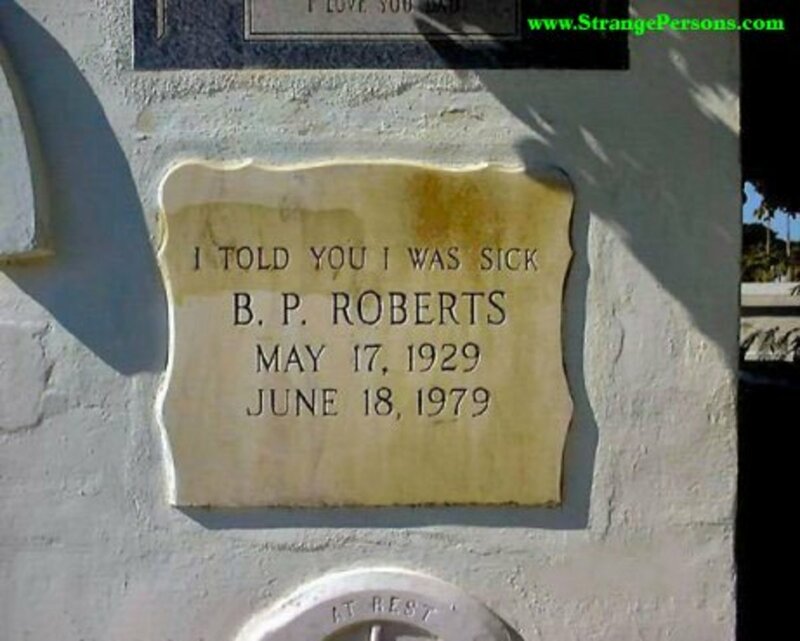 Death has often been associated with humour, and it seems that the tombstone has become a canvas for a truly original last word. Whether you opt for something pretty or smart, your tombstone can give you the opportunity to declare a final message to the world. Once again, people have some unusual choices. Apart from the fact that this is a tombstone for a beloved canine, the word play and overall tone, which is humorous, is an excellent example of the wit that has come into tombstone inscription. An example of the way in which humour can help ease the pain of losing a loved one. There are certain tombstones which defy explanation. They are highly personalized, but in some cases it would seem that there is some kind of inside joke between the deceased and their closest friends and family, because things really do get weird. Nothing is taboo when it comes to tombstones, and anything goes – from the erection of miniature shrines to inexplicable film references – and it seems as if the truly zany tombstone is going to be a more regular site in cemeteries across the globe as people decide to subvert the traditional use of the tombstone and use it as a device that honours their own memory of themselves. The bizarre tomb complex of an elderly couple, which features them in various poses, dressed in dressing gowns. An unusual site for a grave, complete with minute tombstone. 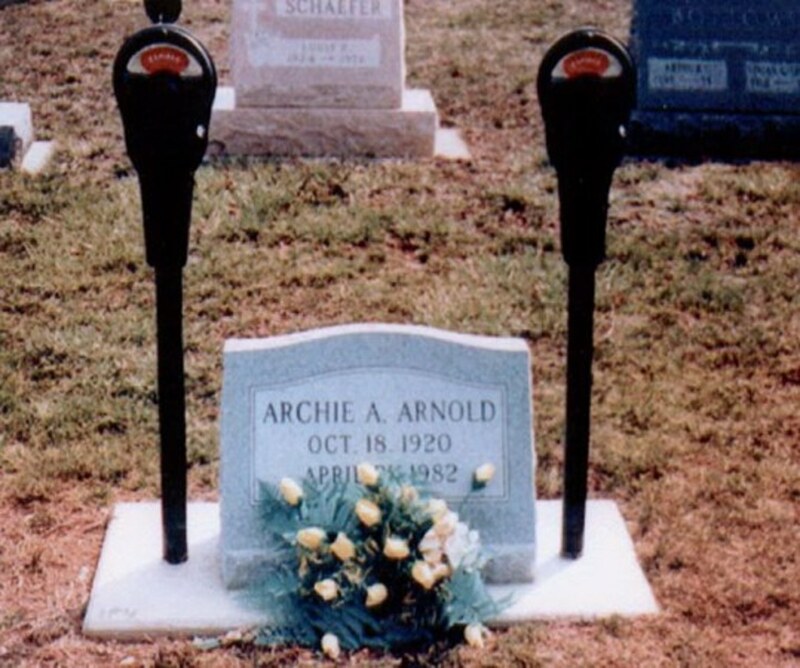 I wonder if they had these parking meters specially made or whether they were “exhumed” from out the front of Archie's house? Kristy Ramirez is a freelance personal finance writer and tombstone geek.